This stunning Thomas Sabo charm bracelet is a fabulous new addition to the collection for AW16. 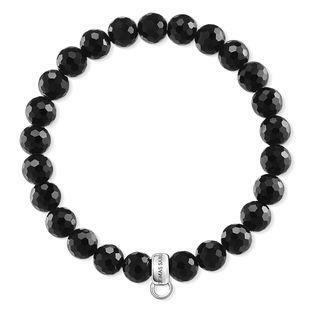 In classic monochrome, the faceted Black Obsidian bracelet is suitable for every occasion. This beaded bracelet features a 925 Sterling Silver carrier that can carry three Thomas Sabo charms.